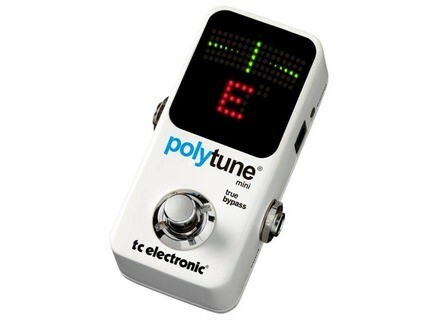 PolyTune Mini - White, Tuner/Pitch Pipe/Tuning Fork from TC Electronic belonging to the PolyTune Mini model. 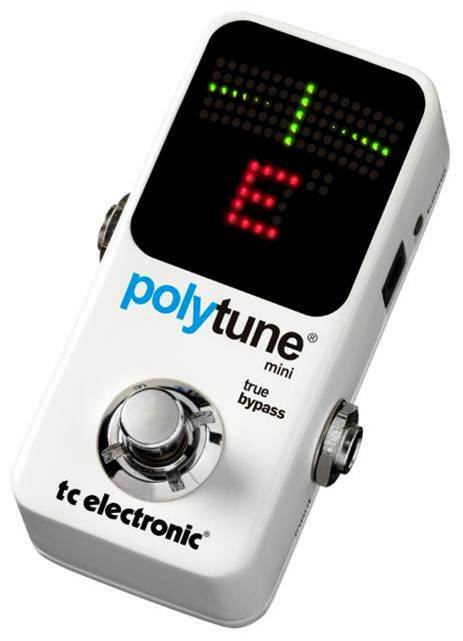 PolyTune Mini is based on the same technology as the original PolyTune: it shows the tuning state of all strings simultaneously by strumming the guitar. Like the original PolyTune, PolyTune Mini tunes with +/- 0.5 cent precision in chromatic mode and +/- 1 cent accuracy in polyphonic mode. Also, it automatically switches between chromatic and polyphonic modes depending on whether all strings are strummed at once or each string is picked individually. Finally, PolyTune Mini features Drop-D and Capo modes as well as True Bypass and an LED display with the same amount of LEDs as the original PolyTune. [NAMM] TC Electronic Bass TonePrint Series TC introduces bass TonePrint pedals, letting famous bass players design their personal tones and making them available as free downloads. [NAMM] Martin 00-45SC John Mayer Edition In collaboration with singer/songwriter/guitarist John Mayer, C. F. Martin & Co introduces the 00-45SC John Mayer Edition limited to 25 instruments. [NAMM] Alesis AmpDock The AmpDock is a device for guitarists designed to enable tonal shaping through the iPad's processor.